WALKSTRONG ~ www.walkstrong.ca: " Circular … "
Can't we break the cycle in which we reside? Being human equates being emotional. Experiences generate feelings & emotions that become excessive, or are repressed and turned inward. This is when they can become pathological and cause dis-ease. 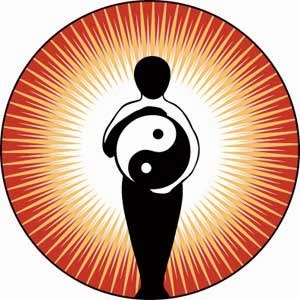 Once we understand this connection, we can begin to balance our bodies back to wellness … one modality,Traditional Chinese Medicine (TCM), offers some insight. We consider emotions of joy, sadness and anger to be normal, normal in every day experiences. And, sometimes even an organ within our body can be out of balance and produce emotional imbalances. TCM believes that balancing the organ associated with the emotion will balance the emotion. The difference is important to the practitioner, as well as you, in preventing a recurrence of the problem. The practitioner will ask many questions to evaluate all aspects, not just the physical, with the intention that once the imbalance is corrected, the environment that created that imbalance no longer exists. Yet we do have free will, and if we choose to continue in the environment, the imbalance will likely return as we are creatures of habit. TCM relies on a circular rather than a liner approach ... cause and effect ... balance and flow. Therefore stuck emotions can lead to a blockage of the flow or a stagnation resulting in dis-ease. How the dis-ease manifests is completely individualized depending on many factors, and your practitioner will assist you in determining the how. It is believed that releasing emotions can release dis-eases. When we live in a fast paced world full of stresses on both our minds and our bodies. Hence it is important to remember again that the cause of an imbalance may be occurring from events in your life and a practitioner cannot can’t remove the stress, only you can. Staying healthy isn’t easy but it is possible if you make it a priority. Imbalance is everywhere. Hence finding whatever brings you happiness and makes you feel good are the small things that are the keys to wellness.